Contrary to what you might believe, being a dapper dude doesn't take that much the place of work. 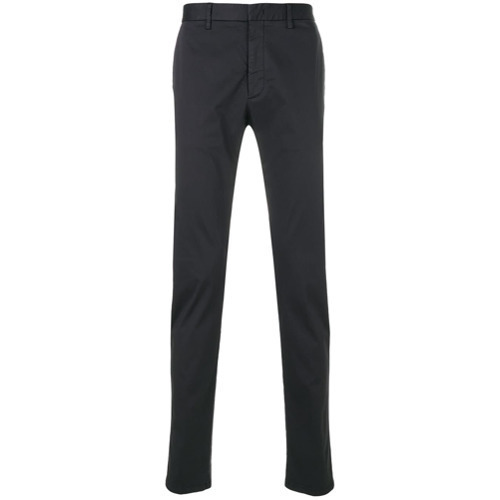 Just reach for a grey wool blazer and navy chinos and you'll look awesome. When it comes to shoes, this ensemble is round off nicely with navy suede desert boots. A black pea coat and Z Zegna Chino Trousers are the kind of a tested combo that you need when you have zero time. 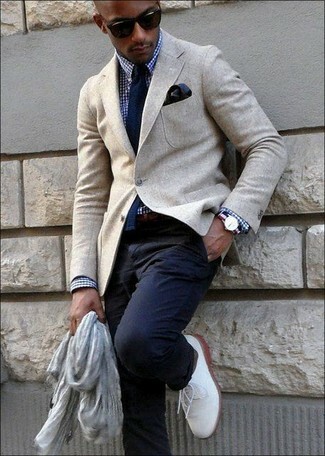 Why not take a classic approach with shoes and complement this outfit with dark brown suede oxford shoes? 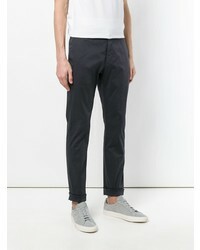 If you're on a mission for a casual yet sharp getup, choose a blue chambray long sleeve shirt and Z Zegna navy chinos. Both of these pieces are totally comfortable and they also look great paired together. 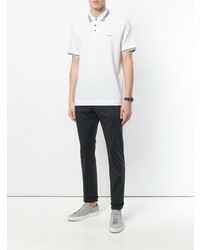 For something more on the daring side to complement this ensemble, choose a pair of white high top sneakers. 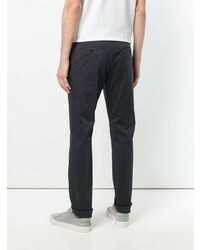 For a casually elegant outfit, pair a beige wool blazer with Z Zegna navy chinos — these pieces work nicely together. To add elegance to your getup, complement with white leather derby shoes. 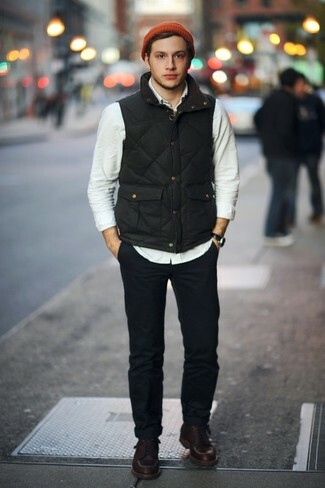 Consider pairing a navy gilet with navy chinos for a simple getup that's also pieced together nicely. 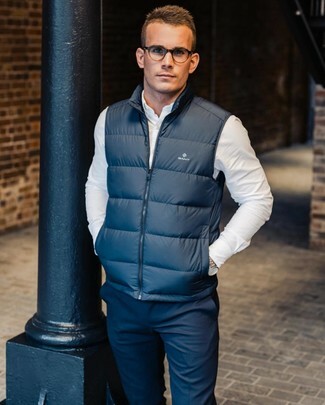 If you're searching for a casual yet on-trend look, choose a black gilet and Z Zegna Chino Trousers. These items are super comfy and will look wonderful together. Make dark brown leather work boots your footwear choice to have some fun with things. This combo of a navy blazer and Z Zegna Chino Trousers is so easy to pull together in seconds time, helping you look sharp and ready for anything without spending a ton of time rummaging through your closet. If you're in search of an off-duty yet on-trend getup, make a navy denim jacket and Z Zegna navy chinos your outfit choice. Rev up this outfit by slipping into navy suede high top sneakers. 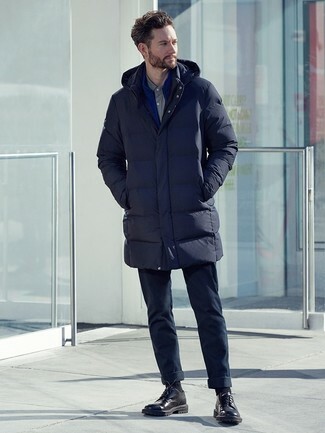 If you're hunting for a casual yet on-trend getup, try pairing a navy puffer coat with navy chinos. Both pieces are totally comfortable and will look great together. Rock a pair of black leather derby shoes to show your sartorial savvy.